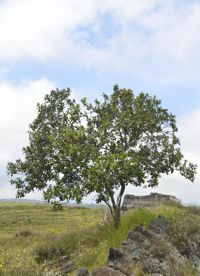 Sustainably grown Hawaiian Sandalwood (Santalum paniculatum), is endemic to Hawaii Island (the Big Island) and found in a arid, mountain environment (4,000 to 7,000ft) in an ecosystem with other native plant and tree species. The Big Island climate is ideal and these sandalwood trees can reach over 50 feet high with a canopy diameter of over 30 feet. Tests have shown the quality of our Royal Hawaiian Sandalwood oil far exceeds other varieties currently on the world market and have the added peace of mind that this oil is coming from sustainably managed sources.